Located on the northern edge of the birthplace of the Grand Canyon on the Colorado Plateau in northern Arizona, Vermilion Cliffs National Monument is a remote and unspoiled, 294,000-acre geologic treasure. 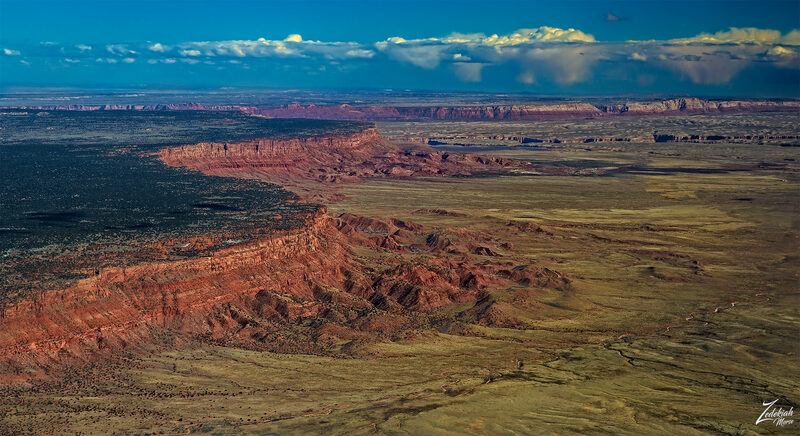 Including the Paria Canyon-Vermilion Cliffs Wilderness, the monument borders Kaibab National Forest to the west and Glen Canyon National Recreation Area to the east. 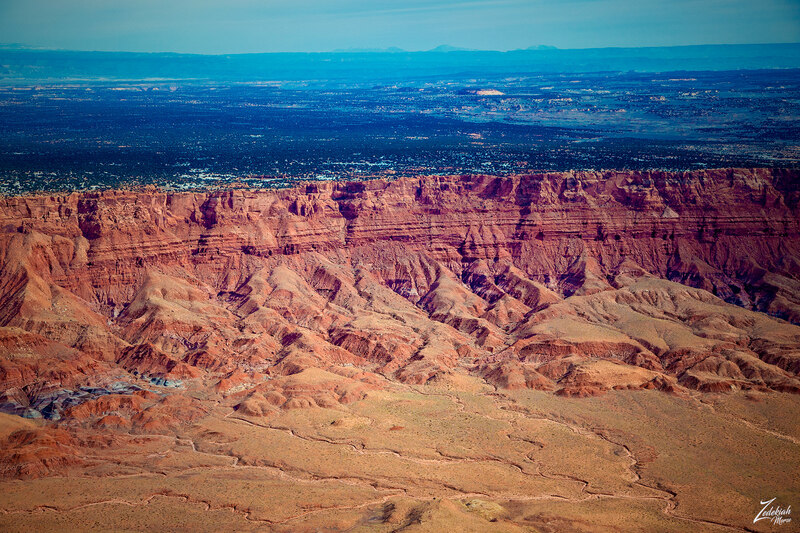 The Vermilion Cliffs are steep, deeply eroded escarpments primarily made of sandstone, siltstone, limestone, and shale. Towering above House Rock Valley as much as 3,000 feet (910 m) these sedimentary rocks have been continuously eroding for millions of years, exposing hundreds of layers of vibrant, richly colored rock strata. A variety of Mesas, buttes, and large tablelands are interspersed with steep canyons, dotted occasionally with some small streams which provide just enough moisture to support a sparse sampling of wildlife. Human settlement in the region dates back 12,000 years, and hundreds of ancient First Nations Anasazi pueblo ruins are spread across this National Monument. The remains of the natives’ villages, including houses, granaries, burial areas, and associated ruins, can be found scattered throughout the area. This National Monument also contains one of the largest number of ancient Anasazi rock-art sites in any nationally-protected area in North America. Many of these petroglyphs are believed to be among the oldest such primitive artworks in the United States. The first European explorers into the region were Spanish missionaries and explorers from the 1776 Dominguez-Escalante Expedition. Later, in the 1860’s Mormon explorers searched the region and some of them settled on land that is now within the monument. They built one of the first ferry crossings on the Colorado River in 1871. That same year, John Wesley Powell ventured through this region during his scientific explorations of the Colorado River plateau. Below the Vermilion Cliffs lays the historic “Honeymoon Trail”, a Mormon wagon route that was used by newlyweds who journeyed north across the plateau to have their marriages sealed in the Mormon temple at St. George, Utah, and then return back home. That route, through harsh and remote country, was otherwise seldom used. Today, the region surrounding the monument is relatively unspoiled with virtually no permanent inhabitants remaining and limited road access.